Granular B Type 1 (Pitrun in Ottawa) | Greely Sand & Gravel Inc.
Granular B Type 1 (Pitrun in Ottawa) is approved for road building and parking lots. Our pitrun in Ottawa is up to 4″ in size. What is Pitrun in Ottawa? Pitrun is blended of sand and stone that has been hauled out of the pit by way of a dragline. The material is then put through a crusher to achieve less than 4″ in size material. The natural blend provides the optimal density for building roads, driveways, and parking lots. 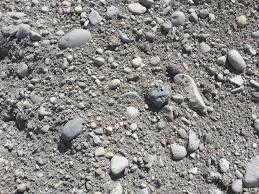 Call Greely Sand & Gravel Inc. to order at 613-821-3003.